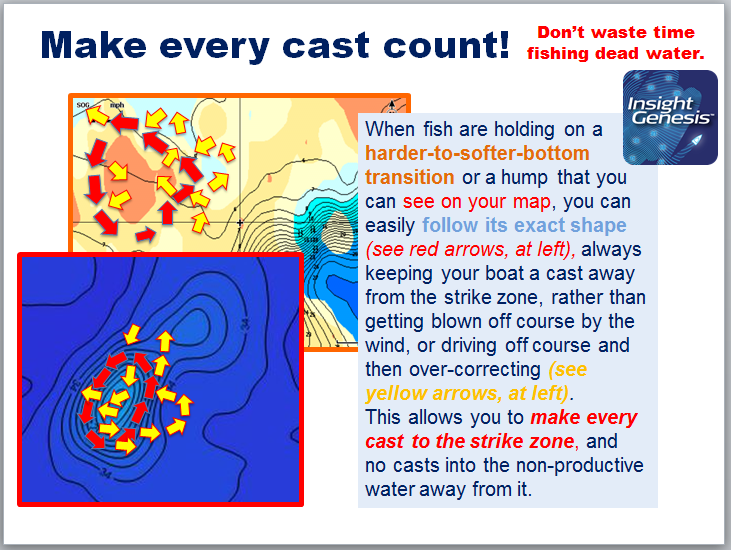 Many fisherman “beat the bank” because they have more confidence targeting visible cover. But the fish in those areas get pounded, making them harder to catch. 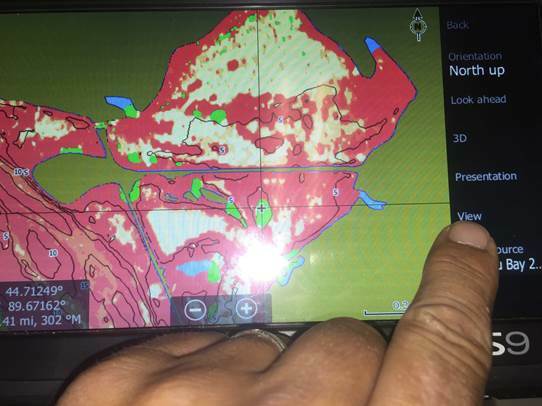 With an C-MAP Genesis (formerly known as Insight Genesis) bottom-hardness map layer, however, you can fish the bottom as confidently as you do the bank, targeting offshore structure like hard-to-soft-bottom transitions and the fish-holding sweet spots on humps, reefs, and shoals, etc. This article will teach you how. Although it’s a great fish-finding tool, side-looking sonar alone can’t really show you the size and shape of hard-bottom areas like gravel patches, clay slicks and shellbeds. 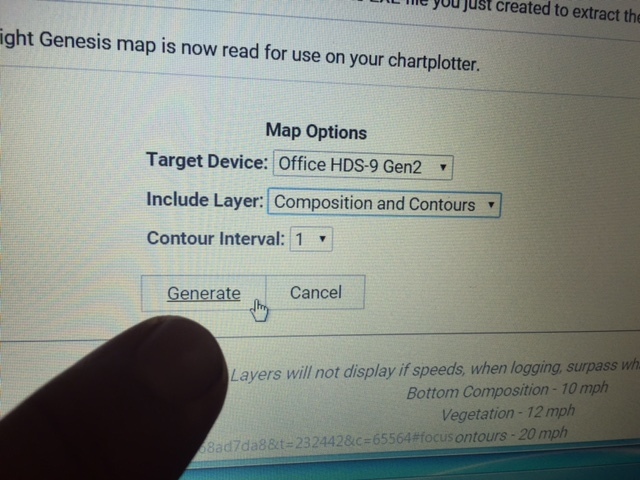 But the C-MAP Genesis bottom-hardness layer can, making such areas stick out like “Fish Here!” signs on your map. 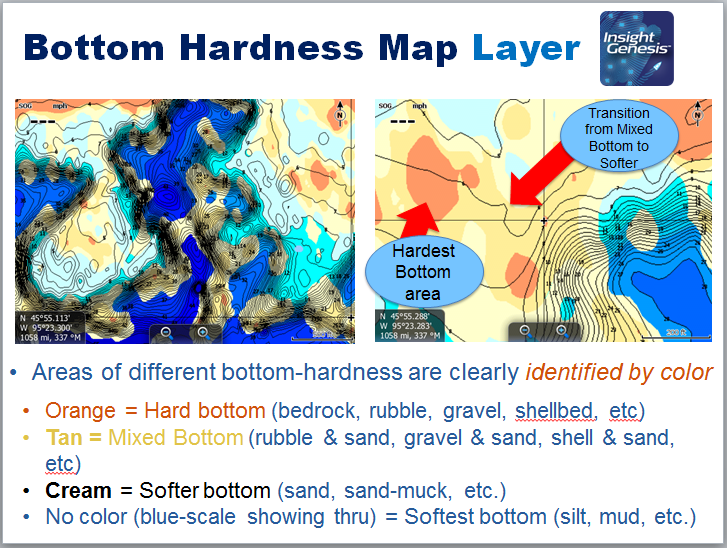 It overlays onto your contour lines a color-coded representation* of the size, shape and location of areas of different bottom hardness: dark orange areas show the hardest bottom; a lighter orange indicates the next-hardest bottom; tan is the next-hardest bottom; and pale yellow shows the softest-bottom areas. When fish are holding on a harder-to-softer-bottom transition that you can see on your map, you can follow its exact shape, keeping your boat a cast away from it, and make every cast right to the strike zone, and no casts into the non-productive water away from it. So while other anglers are casting blindly – making as many casts to dead water as into the strike zone — you’ll have the spot-on-the-spot dialed in, because you can see the size and shape of the key hard-bottom areas on or near key structure and cover. 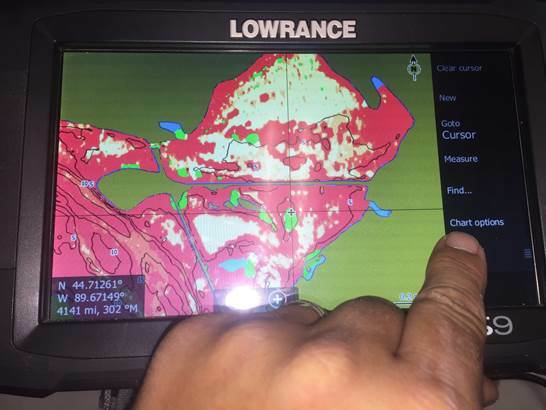 Genesis Edge users can follow these steps to download a custom C-MAP Genesis map with a bottom-hardness layer to an SD card and use it in a compatible** Lowrance or Simrad sonar/GPS unit on the water. Don’t remember how to do that? Read this article to refresh your memory. If you want to make a bottom-hardness layer for your map of a single trip, click the gray down-pointing arrow located to the left of the name of the waterbody you’re interested in. If you want to make a bottom-hardness layer for one of your a merged maps, first click the light-gray tab labeled “Merged Uploads” at the top of your dashboard. 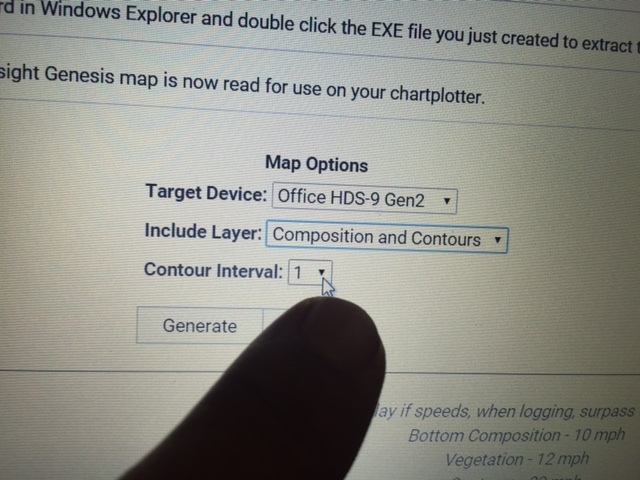 In the “Include Layer” drop-down menu (located under “Target Device”) choose “Composition and Contours” (see image below). 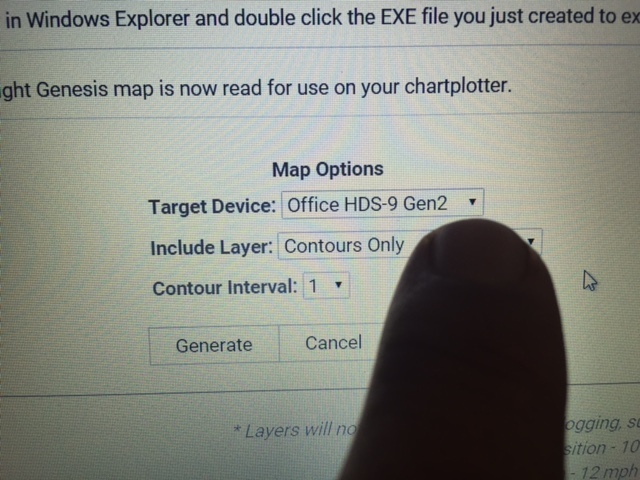 In the “Contour Interval” drop-down (directly below “Include Layer”) choose how precise you’d like your contours to be on your map. After making all your selections in the drop-downs explained above, click the light-gray button labeled “Generate” (see image below). 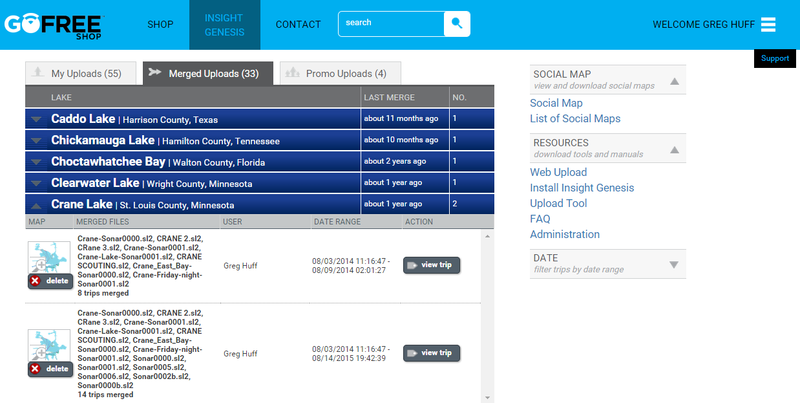 While the map file is downloading, you’ll see a rotating progress icon floating in the middle of your dashboard. Once the progress icon stops rotating, you will get the message “Successfully Generated Map! CLICK ‘SAVE’” … below that message will be a light-gray button labeled “Save” … Click that button. 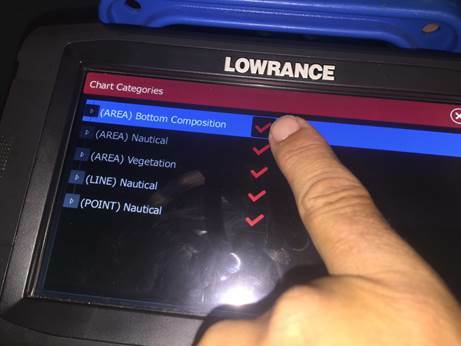 Before your map files will work in the Lowrance or Simrad sonar/GPS unit(s) on your boat, you must first extract the files (PC terminology) from the downloaded .exe folder/file or unzip the folder (Mac terminology) in which the map files are located. 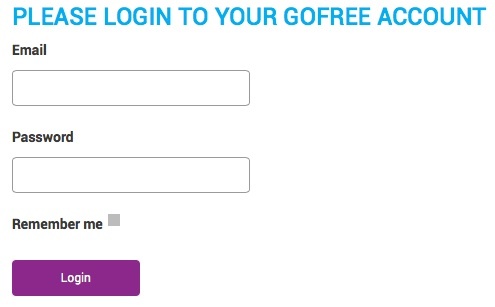 NOTE: On a Gen2 non-touch, you must press your “Enter” button to click, or un-click, the check-box. On a Gen2 Touch and a Gen3 unit, simply touch the box with your finger to check, or un-check, it. Want to display a grass/vegetation layer AND a bottom-hardness layer on your map at the same time? You can! We’ll document the steps to do so in an ensuing blog post. 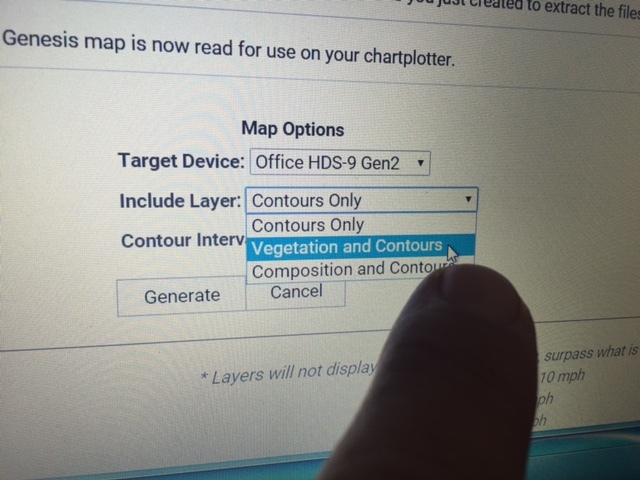 (AREA) Vegetation– If you did not create a separate grass/vegetation layer in the map-generation process, checking or un-checking this box will have no effect on your map display. ALL 5 of those files must be on your SD card for your map to display on your sonar/GPS unit. 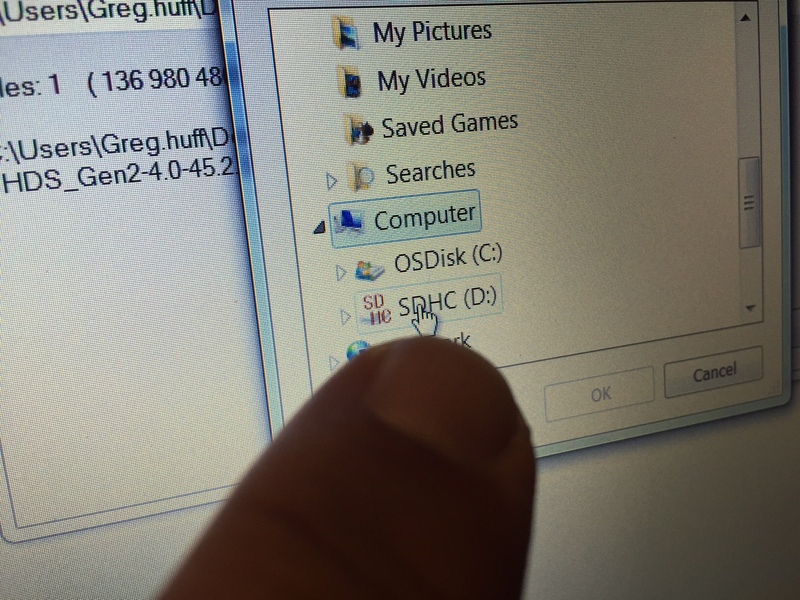 At this time, we recommend creating a new folder on your computer, naming it “Lake Map Downloads” (or similar) and then dragging the .exe file off of your SD card and into that folder. Rather than dragging and dropping, you could also copy and paste the five files in your folder onto your SD card. 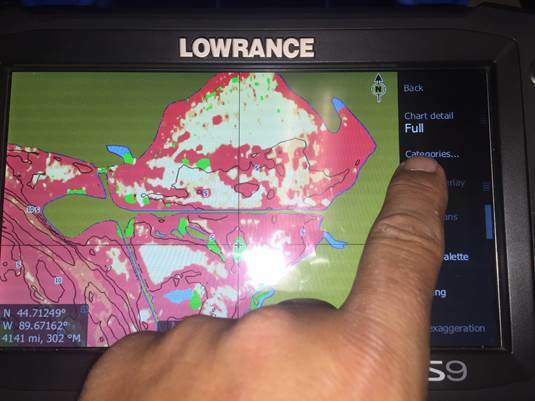 ** To use C-MAP Genesis maps on the water, you’ll need a compatible Lowrance, Simrad or B&G chartplotter.